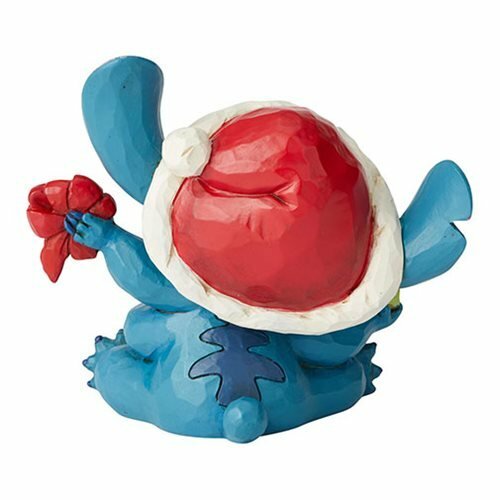 Chaos comes to Christmas as Stich shows how not to go about wrapping a present. 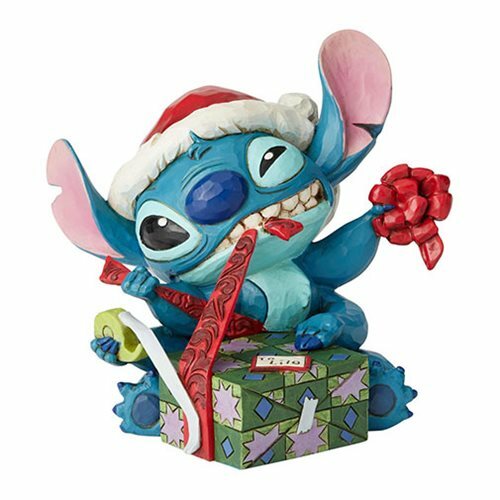 The hilarious Disney Traditions Lilo & Stitch Santa Stitch Wrapping Present Bad Wrap by Jim Shore Statue is fashioned of polyresin and calcium carbonate and measures about 6-inches wide x 5 3/8-inches long x 5 1/4-inches tall. Don't let him near your tree!